This is the geit.de trashcan. Obsolete and old Geit.de news posts are dumped here. From Friday 19th till Sunday the 21th of October 2018 the Amiga Club Osnabrück and the Amiga Club Steinfurt are celebrating another hardware meeting. Gather up to date information on MorphOS, get official support, see new software or just have fun talking with the developers and users. If you want to bring in your hardware then please inform us as soon as possible, because the space for external users is limited. Of course you can just stop for a visit if you like. I know a laptop running MorphOS takes no big space and is portable, but I still need to know about the number of attendees. So if you are interested, please contact me as soon as possible. The participation is as always free of charge. The MorphOS development team is proud to announce the immediate availability of MorphOS 3.11. In addition to performance, stability and security improvements, this new version also features the first more substantial update of the Odyssey web browser in a while, which improves the rendering of and general compatibility with modern websites in several ways, as well as a more refined version of the recently introduced Flow Studio, our official integrated development environment. For a more extensive overview of the changes included in MorphOS 3.11, please read our release notes. The update to MorphOS 3.11 is free for all previous registered systems. Also check the registration fee for other systems, which got lowered some time ago. More specific information and detailed installation guides about installing on the supported systems can be found on the official MorphOS homepage. MorphOS 3.11 live CD ISO is available for free. From Friday 27th till Sunday the 29th of July 2018 the Amiga Club Osnabrück and the Amiga Club Steinfurt are celebrating another hardware meeting. RegisterISO is a little tool to inject your MorphOS keyfile into any MorphOS ISO file. This allows you to boot from CD or the iso itself without dealing with the timeout, which is quite useful when restoring backups or using SFSDoctor to fix a partition. MorphOS 3.10 with X5000 (Cyrus) support! The MorphOS development team is proud to announce the public release of MorphOS 3.10 introducing support of X5000 (Cyrus) systems. Beside supporting additional hardware this new version provides bugfixes, tons of new features and applications. The update to MorphOS 3.10 is free for all previous registered systems. Also check the registration fee for other systems, which got lowered some time ago. MorphOS 3.10 live CD ISO is available for free. From Friday 6th till Sunday the 8th of November 2018 the Amiga Club Osnabrück and the Amiga Club Steinfurt are celebrating another hardware meeting. Gather up to date information on MorphOS 3.10, get official support, see new software or just have fun talking with the developers and users. From Friday 3rd till Sunday the 5th of November 2017 the Amiga Club Osnabrück and the Amiga Club Steinfurt are celebrating another hardware meeting. From Friday 28th till Sunday the 30th of July 2017 the Amiga Club Osnabrück and the Amiga Club Steinfurt are celebrating another hardware meeting. From Friday 31st of March till Sunday the 2nd of April 2017 the Amiga Club Osnabrück and the Amiga Club Steinfurt are celebrating another hardware meeting. The webcam is available here. From Friday 21st of October till Sunday the 23rd of October 2016 the Amiga Club Osnabrück and the Amiga Club Steinfurt are celebrating another hardware meeting. We will also show Raspberry Pi projects like RetroPi. From Friday 24th of June till Sunday the 26th of June 2016 the Amiga Club Osnabrück and the Amiga Club Steinfurt are celebrating another hardware meeting. So if you're interested in MorphOS or AmigaOS you're welcome. Beside Pegasos systems we expect also Mac mini, PowerMac, iBooks, PowerMac G5, Sam460, X5000 and of course Efikas. Of course other systems are welcome, too. We expect at least one AmigaOS4 system. 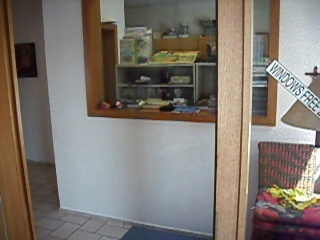 A webcam is available here. From Friday 19th of February till Sunday the 21th of February 2016 the Amiga Club Osnabrück and the Amiga Club Steinfurt are celebrating another hardware meeting. Pictures from the last events are available in the Hardware Meeting section. From Friday 23th of October till Sunday the 25th of October 2015 the Amiga Club Osnabrück and the Amiga Club Steinfurt are celebrating another hardware meeting. From Friday 12th of June till Sunday the 14th of June 2015 the Amiga Club Osnabrück and the Amiga Club Steinfurt are celebrating another MorphOS 3.8 release Party (aka hardware meeting). So if you're interested in MorphOS or AmigaOS you're welcome. Beside Pegasos systems we expect also Mac mini, PowerMac, iBooks, PowerMac G5, Sam460 and of course Efikas. Of course other systems are welcome, too. We expect at least one AmigaOS4 system. From Friday 27th of February till Sunday the 1th of March 2015 the Amiga Club Osnabrück and the Amiga Club Steinfurt are celebrating another hardware meeting. So if you're interested in MorphOS you're welcome. Beside Pegasos systems we expect also Mac mini, PowerMac, iBooks, PowerMac G5 and of course Efikas. Of course other systems are welcome, too. We expect at least one AmigaOS4 system. First small surprise: There will be a Raspberry Pi 2 Model B. Second update: MorphOS will be shown on a fully supported Sam460. In addition to that we managed to buy a copy of AmigaOS4 FE for it, so there will be an additional OS4 system. Pictures are now available in the Hardware Meeting section. From Friday 28th of February till Sunday the 2th of March 2014 the Amiga Club Osnabrück and the Amiga Club Steinfurt are celebrating another hardware meeting. So if you're interested in MorphOS you're welcome. Beside Pegasos systems we expect also Mac mini, PowerMac, iBooks, PowerMac G5, iMac G5 and of course Efikas. Of course other systems are welcome, too. We expect at least one AmigaOS4 system. From Thursday 3rd till Sunday the 6th of October 2013 the Amiga Club Osnabrück and the Amiga Club Steinfurt are celebrating another hardware meeting. I know a laptop running MorphOS takes no big space and is portable, but I still need to know about the number of attendees. So if you are interested, please contact me as soon as possible. There is one thing for sure: This will be a big one! For the first time, we will have an AmigaOne X1000 with AmigaOS4. From Friday 12th till Sunday the 14th of July 2013 the Amiga Club Osnabrück and the Amiga Club Steinfurt are celebrating another hardware meeting. Images are available inside the meeting section. Some say 2013 is the year of some guy called Luigi! Nah! 2013 is the year of Rockford! Back in 1987 first steps were done to create the perfect BoulderDäsh game on a C64. Later first version got released by using bulletin board systems. In the year 1996 the game did his first quantum leap. BoulderDäsh was released with a complete new GadTools GUI, a music player and a build in game editor with construction set. 2003 the next version jump brought with BoulderDäsh RTX another big jump in quality. Beside classic hardware, for the first the game time supported graphic and sound cards. BoulderDäsh Shockwave pushed the game play even further. By using Playstation and other usb game pads supporting rumble, BoulderDäsh dragged the player even more into the cave. This fifth version was released in 2008. Over the past years screens were getting bigger and the systems got better, faster and new technologies were supported, which could improve the game play. The small game window of the original game, or should I say the stamp size icon looked nice, but was simply to small to be played with on a FullHD screen. Unlimited number of animation phases. Record and playback of cave solves. Since during development was focused on modern features without drawbacks, BoulderDäsh Resurrection will not run on classic hardware anymore. Since the game files are still compatible and the classic version still works everywhere, BoulderDäsh V5 will stay available for download. Export functions (if needed) will allow backward compatibly with such systems, unless new features are required. To be precise BoulderDäsh Resurrection will be released exclusively for MorphOS V3.3 or higher. From Friday 22th till Sunday the 24th of March 2013 the Amiga Club Osnabrück and the Amiga Club Steinfurt are celebrating another hardware meeting. Yes, Grunch is available for more than one year. It turned into V1 a few days before the AmigaMeeting 2011 in Bad Bramstedt, where it was shown officially for the first time. What happend since then? Grunch was very successful. Not only the database which grew up to more than 200 pakets, but also many developers, which use Grunch as a platform to promote their software products made it a winner. At least one developer will join with his database shortly, so be prepared for even more Software. Beside some minor code issue in september, which was completely my fault, the non centralized database system worked like a charm and without any further problems. Many people blasphemed, bitched and had no confidence Grunch will be accepted by the masses, but they were proofed wrong. Not only to keep a system up to date, Grunch provided a new unique way to inform all users about new software products without any delay using the simple linked database technique building a bridge between developers and users, which was accepted quite well. Several developers decided to create own databases, which are pre linked in the internal database, to give the user direct access to their software pools. Several ideas and wishes came up during the last year and many of those wishes where implemented during the last 50 Grunch updates. Thanks to all people supporting and using Grunch. You made it possible. From Friday 21th till Sunday the 23th of September 2012 the Amiga Clubs Osnabrück Steinfurt celebrated once again a hardware meeting. Images taken on this and other meetings can be found in the Hardware Meeting section. Geit@Home #3 2012 - MorphOS 3.1 is out! From Friday 21th till Sunday the 23th of September 2012 the Amiga Club Osnabrück and the Amiga Club Steinfurt are celebrating another hardware meeting. So if you're interested in MorphOS you're welcome. We expect more than 10 Pegasos systems, several Mac mini, PowerMac and Efika Systems. Of course other systems are welcome, too. We expect at least one AmigaOS4 system. Your browser does not support HTML5! Video is missing! 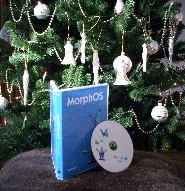 Geit@Home #2 2012 - MorphOS 3.0 is out! From Friday 6th till Sunday the 8th of July 2012 the Amiga Club Osnabrück and the Amiga Club Steinfurt are celebrating another hardware meeting. I everything works like expected MorphOS can be registered and paid on the meeting itself. So if you don´t want to use paypal, here is your chance. Please note that it will probably only be possible in the very late Saturday evening. Also limited MorphOS DVD/CD cases will be available. MorphOS goes iBook! 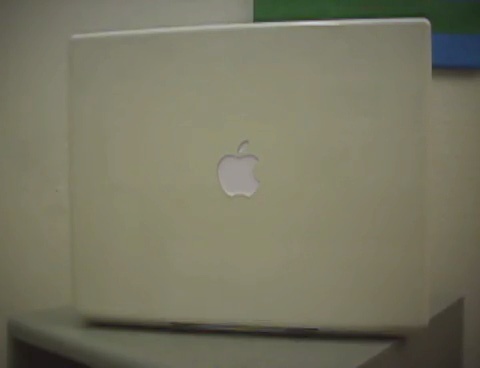 MorphOS is shown on iBook G4 1.33 Ghz. It will be officially supported with MorphOS 3.2 release. As you can see below the demo iBook already is fully supported (excl. Wifi). This specific model is using an ADB keyboard and an ADB touchpad. Since this system is releated to the Mac mini G4 series, even 3D is already working. The specific iBook versions supported by MorphOS 3.2, will be announced later. MorphOS 3.0 with PowerBook support! The MorphOS development team is proud to announce the public release of MorphOS 3.0 introducing support of PowerBook G4 systems. Beside supporting additional hardware this new version provides bugfixes, several new features and applications. The update from MorphOS 2 to MorphOS 3.0 is free. Also the registration fee for old systems like Efika and Pegasos got lowered. MorphOS 3.0 is available for free download in files section. From Friday 23th till Sunday the 25th of March 2012 the Amiga Club Osnabrück and the Amiga Club Steinfurt are celebrating another hardware meeting. So if you're interested in MorphOS 3.0 you're welcome. We expect more than 10 Pegasos systems, several Mac mini, PowerMac and Efika Systems. Of course other systems are welcome, too. Images taken on the event are available here. NetPrinter allows printing using a printer connected to the network. This driver supports RAW and LPR printing and provides a fully featured preferences utility, which allows an easy configuration. The MorphOS version contains a preferences module which appears in standard system preferences. Since NetPrinter caused many confusion in the past: NetPrinter does not replace the printer driver! NetPrinter is just an additional transport protocol like usb and parallelport. If the printer rejects to work with usb, parallel or serial, it also won't work using NetPrinter. Beside the normal Geit.de download, NetPrinter is also available via Grunch. The 68K preferences name has a different name. Multi printer support was broken in prior preferences tools. Added NETPAR mount script for classic system provided by Ernest Unrau. Thank you! Added proper NETPAR mount script for MorphOS as well. Many small changes and optimisations. The current version contains several bug fixes, usability and detail changes to make using Grunch even more simple. Previous problems with AmigaOS3 and AmigaOS4 should be resolved. In addition to that several developers (Guillaume Roguez, Nicolas Sallin, Herbert Klackl, Thomas Igracki, Stefan Haubenthal) contributed own databases for their software, since Grunch V1 was released. These databases are prelinked and will be automatically, downloaded, installed and even updated by Grunch. Grunch is a great way to maintain software on your system. For more information about checkout the brand new Grunch section and the manual that comes with the Grunch download. 10000 visits in less than 15 Month! Today Geit.de reached the first big magic number of more than 10000 visits. Knowing that this number was generated in less than 15 month indicates that Geit.de is not only frequently used by MorphOS and AmigaOS users, but also that the relaunch at September 1st 2010 was a big success. Thanks to all visitors and of course thanks to everyone who supported Geit.de in the past! BBB? The Bad Bramstedt Bundle. I got many requests and during previous presentations I got a clue about what is needed and where to go with this application. After some weeks of improving and adapting and the knowledge of people already waiting for this and I am pleased to announce that the new application Grunch is ready for download. Grunch is a great way to maintain software on your MorphOS system. For more information about checkout the brand new Grunch section and the manual that comes with the Grunch download. Since this is a bundle, there is even more! MagicBeacon got released! MagicBeacon is a notification manager which catches system and application information and hands them over in an easy way, so the user can deal with them if he wants to. Play sounds on disk insert or removal, open a cameras picture folder when a camera is connected or simply get notification bubbles, when new software is available. Let OWB or Transfer tell you about a finished file transfer using live ticker in the screen bar. Checkout the new MagicBeacon section for additional information. There is also a detailed documentation included in the MagicBeacon Archive. Download and installation via Grunch packet manager. We are not done yet! There is one more thing. It's quite small, but I hope you find use for it. The name of this little helper is WirelessDesktop. It is a small commodity which allows you to use your iDevice (iPod, iPhone, iPad) and your Android Devices as a wireless keyboard/mouse. Using the big iPad screen as a gigant mouse pad is quite fun. Once again! For download and installation use Grunch. The new version 1.39 of the system independent installer is now available for download. This version contains bug fixes for several installer commands. Thanks to all helpers for reporting problems with the scripting language. From Friday 2th till Sunday the 4th of September 2011 the Amiga Club Osnabrück and the Amiga Club Steinfurt are celebrating another hardware meeting. So if you're interested in MorphOS you're welcome. We expect more than 10 Pegasos systems, several Mac mini and PowerMac systems, as well as a hand full of running Efikas. Of course other systems are welcome, too. will be demoed in public for the first time. Big Armagetron Advance beta testing! Many thanks to HAK for the new version of the port. Intensive killing ähm, testing sessions are planned. The Ghostscript installer allows to download, install and configure the postscript emulation GhostScript. From Friday 10th till Monday the 13th of June 2011 the Amiga Club Osnabrück and the Amiga Club Steinfurt are celebrating another hardware meeting. So if you're interested in Pegasos and Efika you're welcome. We expect more than 10 Pegasos systems, several Mac mini and PowerMac systems, as well as a hand full of running Efikas. Of course other systems are welcome, too. Pictures taken on the meeting are - as always - available in the hardware meeting section. How to build your own arcade system? The How to build your own arcade system? section is now available in English. I also added a few things as the project is not finished, yet! From Friday 18th till Sunday the 20th of March 2011 the Amiga Club Osnabrück and the Amiga Club Steinfurt are celebrating another hardware meeting. So if you're interested in Pegasos and Efika you're welcome. We expect more than 10 Pegasos systems, several Mac mini systems and a hand full of running Efikas. Of course other systems are welcome, too. As a little surprise and to thank all users for their support, we are proud to be able to provide several brand new and exclusive applications and tools, which can be installed and tested. Stay tuned for further information. On the local server several small applications are available for the party guests. The Rockford.sbar is a small screen bar module, Magic Beacon is an notification manager (like Growl, but with screen bar scroller, skinnable bubbles). Kronos provided the latest version of the Ambient NG panels and a new version of SteamDraw. Pictures taken on the meeting can be found here! This allows you to boot from CD or the iso itself without dealing with the timeout and is quite useful when restoring backups or using SFSDoctor to fix a partition. SimpleCat is a catalog creation suite for translators and developers. Fixed target export using relative paths in WB launched mode. Feature: GUI now remembers last used language. Feature: Added log highlighting (just a test for now). Feature: Added pattern gadget to Open/Save .cs file requester. Fixed path selection for "catalogs" target in GUI. Feature: Target "catalogs" is now creating the target drawer if needed. Fixed hit on save locale source. Fixed potential endless loop on search next. Changed: Numeric buttons in csi preferences got replaced by classic integer. Feature: Added full codeset support. Feature: Added 0x0d stripping with warning. Fixed broken clipboard support due menu key conflict. Prepared build system for MorphOS/SDK release. Removed nlist backward compatibility. There is no way back. The Drivelamps.sbar is a simple screenbar module which provides an easy way of showing activity lamps for any mass storage devices connected via IDE, SATA, USB or SCSI. AmigaMeeting 2010 5th till 7th of November! The MorphOS development team will appear on the Amiga Meeting 2010 in Bad Bramstedt (Germany) and give a sneak peek into the next MorphOS release. Once again, it will be possible to register MorphOS right there on AmigaMeeting 2010. You want to know the news first? Just meet us there! The new version 1.36 of the system independent installer is now available for download. MorphOS 2.6 with PowerMac support! The MorphOS development team is proud to announce the public release of MorphOS 2.6 introducing support of PowerMac G4 systems. MorphOS 2.6 is available for free download in files section. Geit@Home #3 2010 will be a PowerDev Meeting! From Friday 24th till Sunday the 26th of September 2010 the Amiga Club Osnabrück and the Amiga Club Steinfurt are celebrating another hardware meeting. Update 1: A webcam is available here. Update 2: Images of the event are available in hardware meeting section. Update 2: Added even more images and a video. Three days non stop party are waiting! After more than 5 Years and several gaps where the page wasn't available, Geit.de was switched off in August this year. Countless people asked about the reason and showed that this site is regular visited by the community. Geit.de changed server and domain provider during the last month and was only available through a fall back home server. This month without Geit.de was used constructively. It all started with a new logo and ended with a complete make over of all 100 (!!) Geit.de sub pages. Some sections were enhanced, reworked and improved. Thanks to the new look and design future changes and providing new content will be much easier. Links pointing to Geit.de's sub pages should be checked. It was taken care about not breaking any links, but in some cases (mostly the meeting pages) it simply wasn't possible without overhead, so it was dropped for a clean restart. In addition to that, the new pages use CSS for the design. This provides an easy and flexible way of maintaining the pages. With non CSS compatible browsers the pages will still provide all information, but without all the decoration and eye candy. Thanks anyone who supported Geit.de during the last years. You ensured this pages survival.